Ready to master your destiny? Here’s your chance to learn from the master! 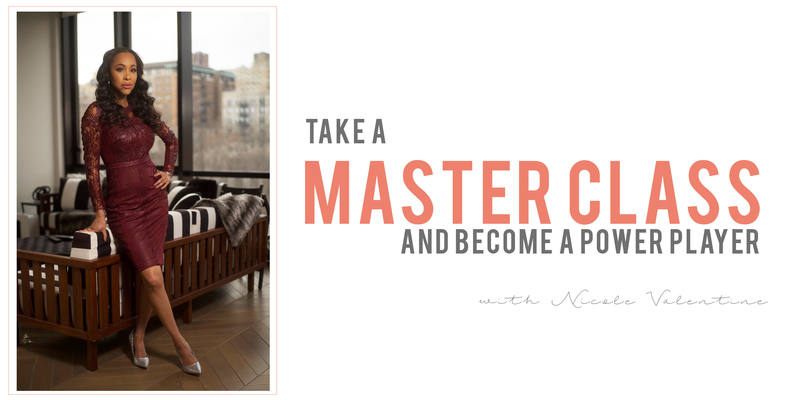 Get one-on-one time with Nicole and get to the nitty-gritty of transitions, new goals, and successful reinventions of your life. What doesn’t take you out will make you stronger…but only when you have a formula for getting your #bossback. Take our Master Class to rebuild your life and discover new layers of strength and beauty, and self-love. Purchase an additional 1-on-1 with Nicole! When you step into your office and know you are not in the right place or position, it’s time to make some strategic #bossmoves. Take our Master Class to design your climb and match your talent with your work. The difference between wanting to have a successful business and actual success is your Boss bottom line. Learn how to win on the business playing field with strategic playbooks and formulas for partnerships and expansion. Sign up to become an insider. Receive updates and #WINNING inspiration!